With this Italian tour the Mahler Chamber Orchestra begins the year in the heart of the classical symphonic repertoire, and in the heart of Italy. Together with Italian conductor Daniele Gatti, the MCO continues an ongoing focus on the symphonic repertoire of the romantic era. Performing Schumann’s Symphony no. 2 op. 61 in C major and Symphony no. 4 op. 120 in D minor, the orchestra will visit Treviso, Ferrara, Reggio Emilia and Brescia. The MCO last performed in these Italian cities in the spring of 2018. Between January 2015 and May 2016, Daniele Gatti and the Mahler Chamber Orchestra performed a complete cycle of Beethoven’s symphonies over four tours, which took place primarily in Italy. Upon conclusion of the Beethoven cycle, the MCO and Daniele Gatti have moved their focus to Robert Schumann’s symphonic work. 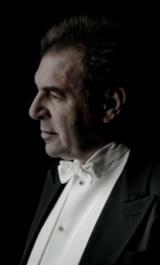 The artistic relationship between Daniele Gatti and the Mahler Chamber Orchestra began with a highly successful rendition of Alban Berg’s Lulu at the Wiener Festwochen 2010.